Core Integrity Group provides Advisory and Consulting Services to industry and government in all areas pertaining to business ethics and compliance; proactive fraud prevention and detection; internal corporate governance activities; and Federal, State, and Municipal Office of Inspector General operations. Our perspectives and capabilities are unique, having operated for over 30 years in federal auditing, investigation, and oversight arenas. More importantly, we know what government agencies and the Department of Justice are looking for in their relationships with industry, and the steps companies can take to reduce risks both to their reputation and their bottom line. Eric Feldman retired from the Central Intelligence Agency (CIA) in 2011 with over 32 years of experience in Inspector General oversight and federal auditing, in both the Executive and Legislative branches of government. He has served in executive positions with Offices of Inspector General at the Department of Defense, Defense Intelligence Agency, and CIA, and was the longest serving Inspector General of the National Reconnaissance Office (NRO) from 2003-2009. At the NRO, he presided over a highly successful procurement fraud prevention and detection program, widely recognized by the Department of Justice as a model throughout the federal government. 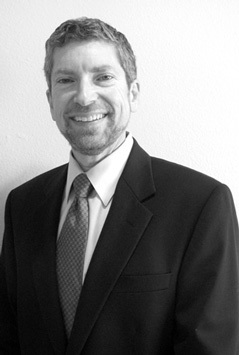 In 2009, Mr. Feldman was appointed Senior Advisor to the Director of the NRO for Procurement Integrity. In this role, he helped the Director ensure that the NRO’s industrial partners were meeting their integrity and ethics responsibilities required by law and federal regulations. He accomplished this through the assessment of corporate ethics and compliance programs at over 40 government contractors. A former Senior Intelligence Service Officer, Mr. Feldman is a 1995 graduate of the Federal Executive Institute, and is both a Certified Fraud Examiner (CFE) and Certified Inspector General (CIG). He is a member of the Executive Committee of the Board of Directors of the Association of Inspectors General, and was the founding President of the California Chapter. Mr. Feldman is a frequently sought-after speaker on the topics of procurement fraud detection and prevention, corporate business ethics and compliance, and managing an Inspector General function.